The electrostatic cryogenic storage ring CSR, developed for atomic, molecular, and cluster physics experiments in a cryogenic environment, started operation successfully in March 2015. Since then the CSR provided in a first cryogenic operation period temperatures of below 10 K for almost 4 months. Thus, the aspired design goals of CSR were successfully achieved and first experiments with cold molecular ions were performed. The CSR consists of an experimental vacuum system kept below 10 K by integrated pumping units working at 2 K. Two radiation shields at 40 and 80 K house the experimental vacuum chambers. An outer vacuum system acting as a cryostat provides an insulation vacuum of 10-6 mbar. 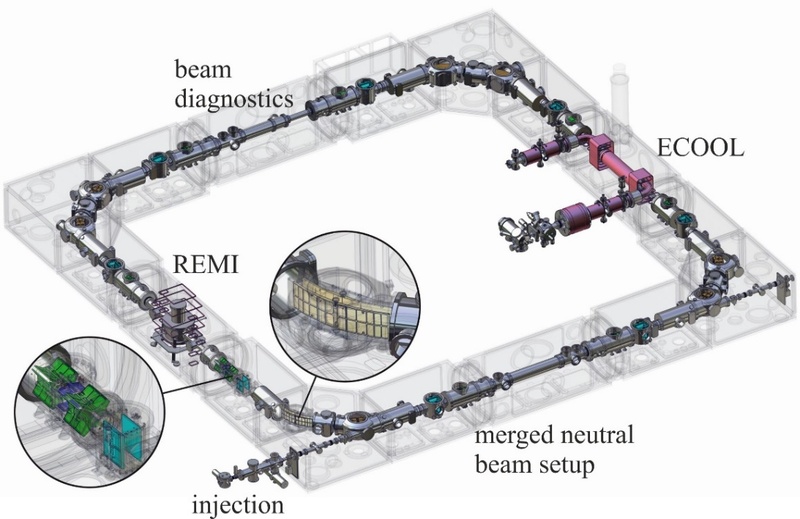 The purely electrostatic storage ring with a circumference of 35 m is composed of four 90o-bending corners and four field free straight sections for beam diagnostics and experimental setups. For details including an electron cooler (ECOOL), a reaction microscope (REMI), and a merged neutral beam setup (AIACS) see Figure 1. In 2014 the CSR was almost fully constructed. This major milestone allowed for the operation at room temperature. An Ar+-beam could be stored successfully verifying the calculations as well as the stability of electrostatic fields created by the 112 electrodes of the 24 elements. After these tests it took almost one year preparing for cryogenic operation of CSR. This included the assembly of in total 210 m helium tubes of stainless steel and the mounting of 140 m2 of shields and superinsulation. Figure 2 shows the CSR in prior mounting the shields. At the second commissioning phase in 2015 the CSR was cooled down within 18 days to an average temperature of the experimental vacuum chambers of about 6 K. Here, our design goal of a cryogenic environment to investigate ground state properties of cold atoms and rovibrationally cooled molecules was achieved. To examine the extremely high vacuum the detachment process Ar+ + e-—Ar was observed continuously during the complete cool-down process. The rate of neutral atoms of Ar vanished at low temperatures implying that the rate of neutrals due to collisions with the decreasing number residual gas particles drops below the dark current of the detector or even lower. The analysis of the measurements considering the geometry of the ring and the experimental detection setup resulted in the estimation of the vacuum background to be less than 10-14 mbar, which corresponds to a density of 140 particles per cm3. Furthermore, various atomic and molecular species were injected to investigate the storage life times. A dependency between life time and mass could be observed. The silver dimer Ag2- was the largest mass injected so far. A life time of 2717 s at 60 keV injection energy was determined (see Figure 3). In addition first tests were performed investigating the functionality and properties of the beam diagnostics. The ion currents envisaged for operation of the CSR are approximately in the range of 1 nA – 1 mA. 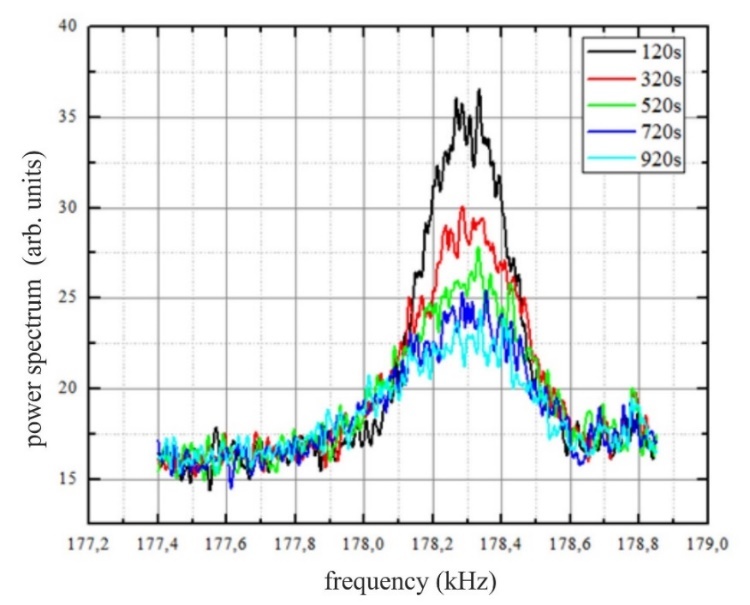 The resulting low signal strengths on the different pick-up systems require sensitive diagnostic tools. Concerning first turn diagnostics, three destructive low intensity beam viewers were successfully used to detect low intense ion beams. Monitoring of stored beams during the first few turns was performed with a current pick-up, a 3.5 cm long tube, measuring stored singly charged ions/molecules down to about 106 particles. After losing the time structure of an injected ion bunch due to momentum spread the Schottky pickup is employed to measure the intensity of a coasting beam. It detects the beam by measuring the Schottky noise of the stored ions. 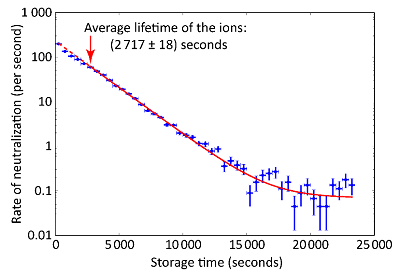 Figure 4 shows the measured Schottky power of a stored Co2- ion beam at different times after injection. The Schottky spectra were recorded at the 20th harmonic of the revolution frequency. To increase the sensitivity weak ion beams can be bunched. For the ion beam bunching an rf system, essentially a 35 cm long drift tube, is installed at CSR. 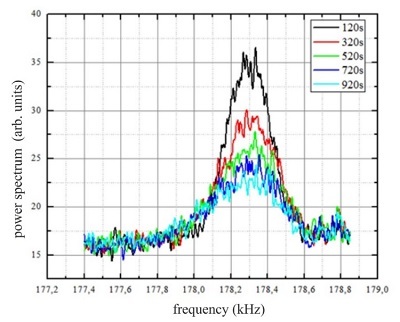 The closed orbit of a bunched ion beam can be measured with six beam position monitors (BPM), each consisting of a horizontal and vertical position pick-up. The CSR is a unique facility providing a cryogenic environment with extremely good vacuum conditions. It enables a large range of atomic, molecular and cluster physics experiments within a low energy range from 20-300 keV per charge state. Experiments on collision- and photon-induced fragmentation processes of ions with well-known internal quantum states for merged and crossed photon and particle beams can be performed.